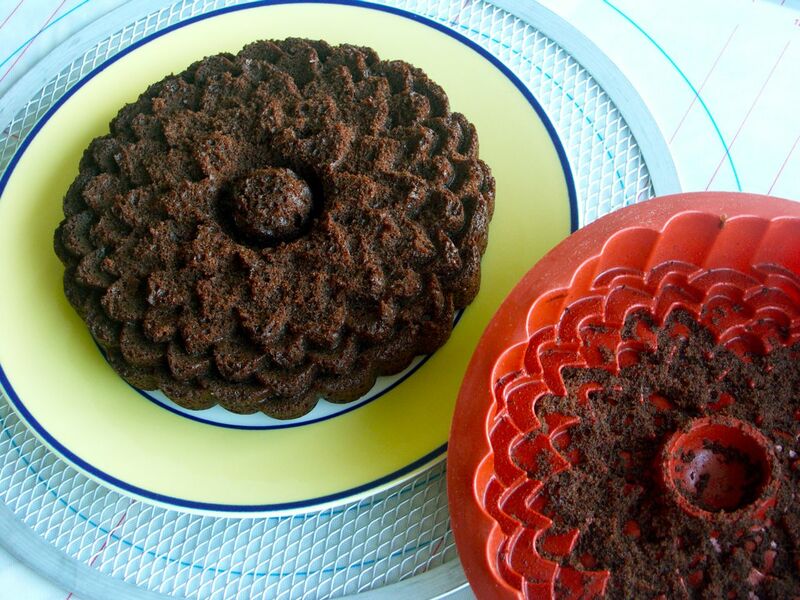 my silicone chrysanthemum take for ROSE’S heavenly CAKES: Chocolate Velvet Fudge Cake (page 117), also stuck! upon further investigation, i think the mistake i committed was to cover the cake while cooling still inside the cake pan with plastic wrap, prior completely cooling. i had to leave my kitchen 45 minutes after taking the cakes out of the oven, thus i covered it with plastic wrap. should i have waited for at least 2 hours or leave them overnight: uncovered? Was this one also baked on a sheet pan? 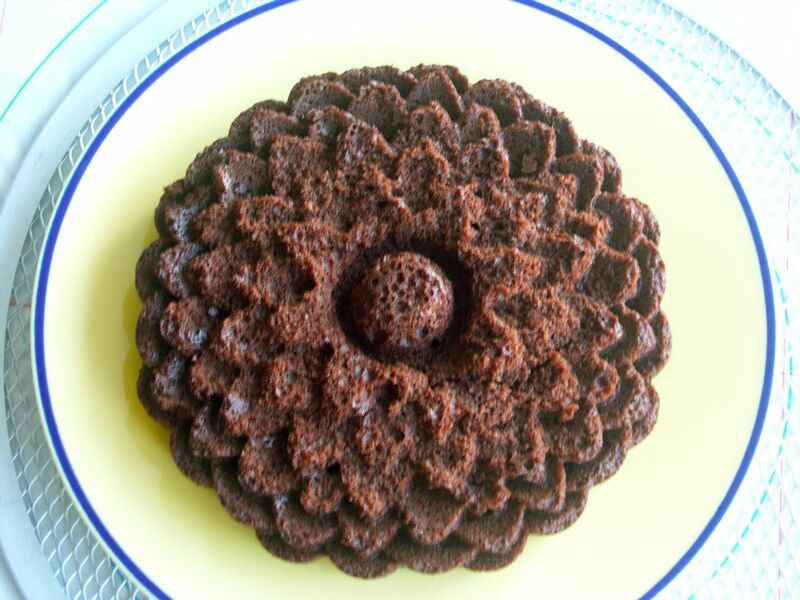 It didn’t stick near the edges, where it baked more, only in the center. Good to know this cake has enough structure that it didn’t fall in the layer pan. How does it taste? J, on a sheet pan too, but i highly suspect is due to brushing the baking spray excessively. The sheets are open ended btw. Taste was wonderfully chocolatey and fudgy. Moist! H, I wonder if it would help to preheat the sheet pan along with the oven? J, thx for the tips.